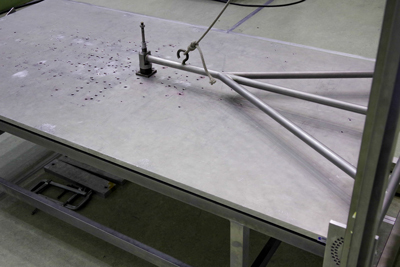 The shock bench consists of a ringing plate bench excited by a pendulum hammer in order to perform SRS shock tests on small units up to 12kg. Thanks to flexibility in test article positioning, hammer drop height, hammer material and ringing plate configuration the SRS can be tuned to the specific customer requirements. 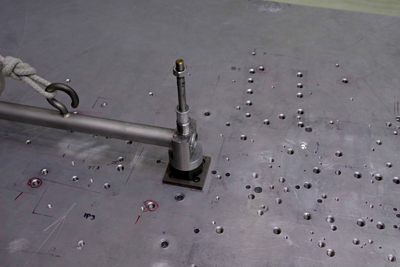 A state-of-the-art acquisition system is available with up to 128 available channels for shock input measurement and test article shock response measurement.